Now Fresh Grain Free Adult recipe is made with 100% Fresh turkey, salmon, duck & 100% Fresh omega 3 & 6 oils from coconuts and canola. Wholesome berries, fruits and veggies such as peas, spinach, cranberries, pumpkin, blackberries, alfalfa sprouts, kelp, lentils and carrots. 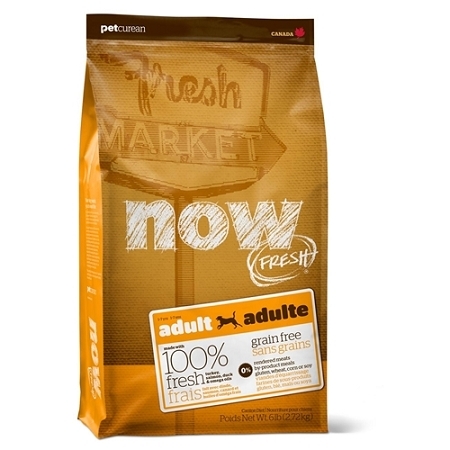 Now Fresh also features products sourced from North America zero grains, gluten, wheat, beef, corn or soy. Zero rendered meats, by-products or artificial preservatives.